With high rates of speeding and distracted driving, New Mexico’s highways can be frightening to navigate. This is especially true if the vehicles driving recklessly weigh 20 times as much as your car, as is the case with tractor trailers. Tractor trailers, otherwise known as semi-trucks, can weigh up to 80,000 pounds and be up to 61 feet long. 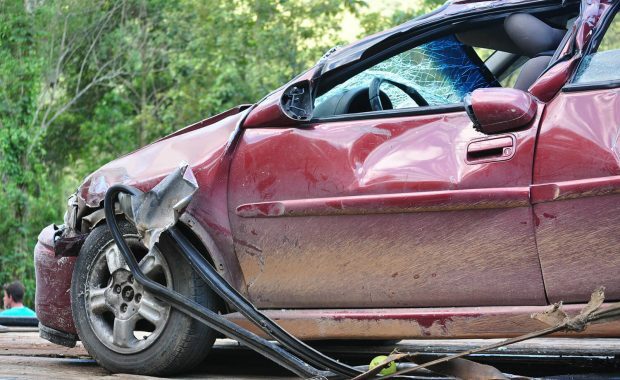 With this extreme weight and size, these vehicles can cause exponentially more damage when involved in an auto accident with a passenger vehicle. 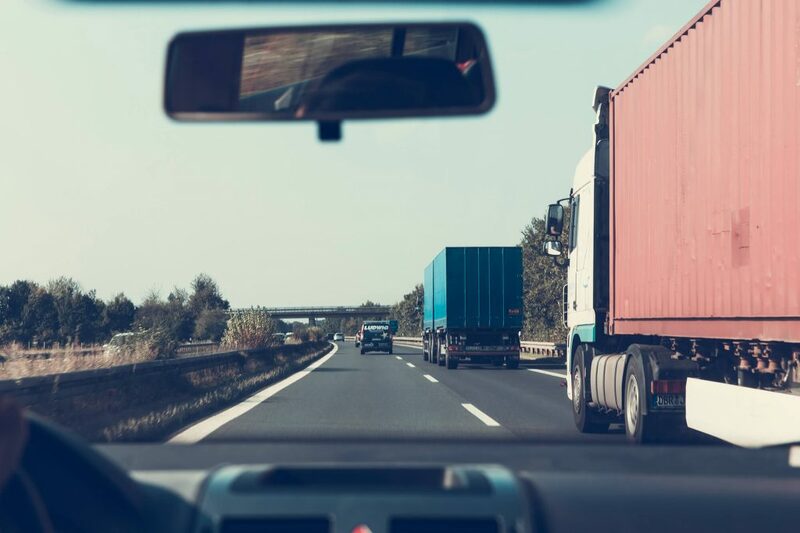 If you are going to face the challenge of sharing the road with tractor trailers, it’s important to know how accidents involving them occur, and what to do if it happens to you. With two major highways running through the Land of Enchantment, it’s almost impossible to avoid tractor trailers during a daily commute. According to the New Mexico Department of Transportation’s Annual Crash Report, an accident involving a semi-truck happens every four hours on a New Mexico highway. Crashes involving heavy trucks are at the highest they have been in five years, and they are involved 10.4 percent of crashes with a fatality. Driver fatigue is a major concern for people who spend their work days at the wheel. If you nod off at an office job after a poor night of sleep, it’s unlikely anyone will be harmed. If a tractor trailer driver doesn’t sleep well and dozes off at work as a result, other people may die. To combat the seriousness of driver fatigue, the United States Department of Transportation has laws in place that dictate how long truck drivers are allowed to consecutively work. For example, a tractor trailer driver is allowed to work 11 hours in one day, but only after they have had 10 consecutive hours off duty. If a company is trying to cut corners they may ask their drivers to work longer hours than the law permits. In these cases, the other drivers on the road are in serious danger of suffering from a truck driver’s fatigue. Tractor trailers need to be properly maintained — just like any other vehicle to make them safe to operate. What makes tractor trailer maintenance even more serious than other vehicles is the potentially fatal outcomes a broken down truck may produce. If you notice your car is acting strange while driving on the highway, it’s likely you will be able to safely pull over to the side of the road. If a tractor trailer begins to break down on the highway, it’s much more dangerous for them to try to cross lanes of traffic and find a place to pull over that does not block traffic. There are federal laws regarding truck maintenance that companies are required to abide by. However, if a company fails to follow these regulations such as by not checking a truck’s brakes before a trip, an auto accident may be waiting to happen. Driving a vehicle that is unlike anything else on the road requires special training and a CDL licenses. However, just because a driver has completed a several-week training course does not mean they are experienced enough to take an 80,000 pound vehicle on the road. Companies may want to quickly hire, train, and send new truck drivers out, because inexperienced drivers usually cost them much less in overhead expenses. Unfortunately, these new drivers may lack the experience to make safe driving decisions such as when to begin braking in a narrow canyon or down a steep grade hill. It takes several more hundred feet for a tractor trailer to come to a complete stop than it does an average car. If an inexperienced driver brakes too late at an intersection, it may have dire consequences for everyone around them. If you or a loved one is the victim of a tractor trailer driver’s recklessness, it’s time to take action. The first step to take is to choose a personal injury attorney who will insure you receive the compensation you deserve. An experienced attorney can be your lifeline, while you focus on recovering from injuries. If you live in the Rio Rancho area, Sanchez and Piñon are ready to represent you. They have the expertise to provide a personal level of representation that will ensure the party at fault is held responsible. Pursuing all legal options to receive fair representation and compensation for the damages. Have you recently been injured in an accident? Are you looking for legal representation for your personal injury claim? Contact Sanchez and Piñon, Rio Rancho’s injury attorneys today for a free consultation, where we can discuss how to get you the compensation you deserve.